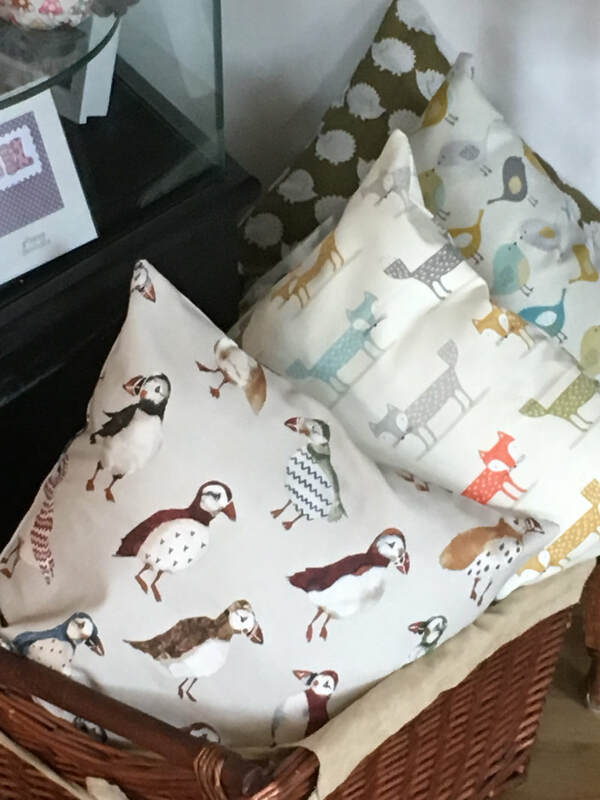 We have been rather busy at Lazymitts and in the middle of June we moved from Kent to Perthshire in Scotland. 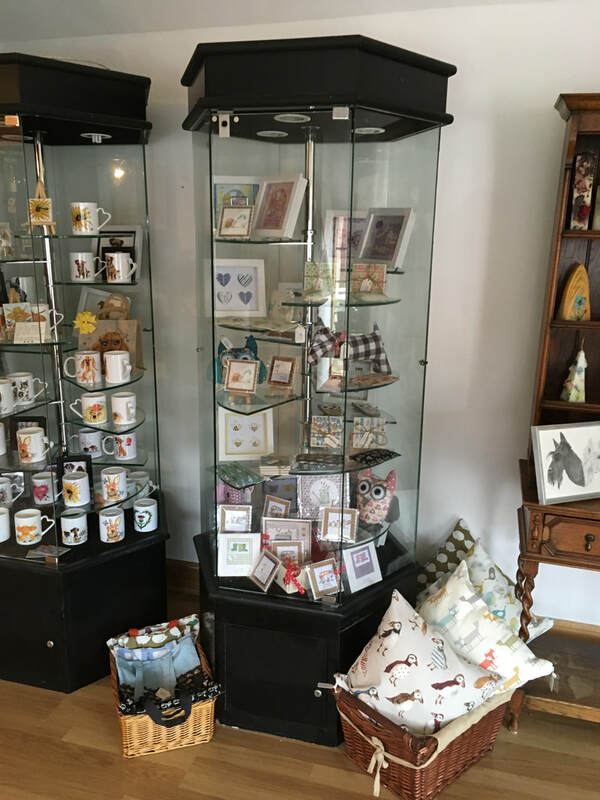 Since here we have set up a new craft space at The Three Witches Tearoom in Burrelton. 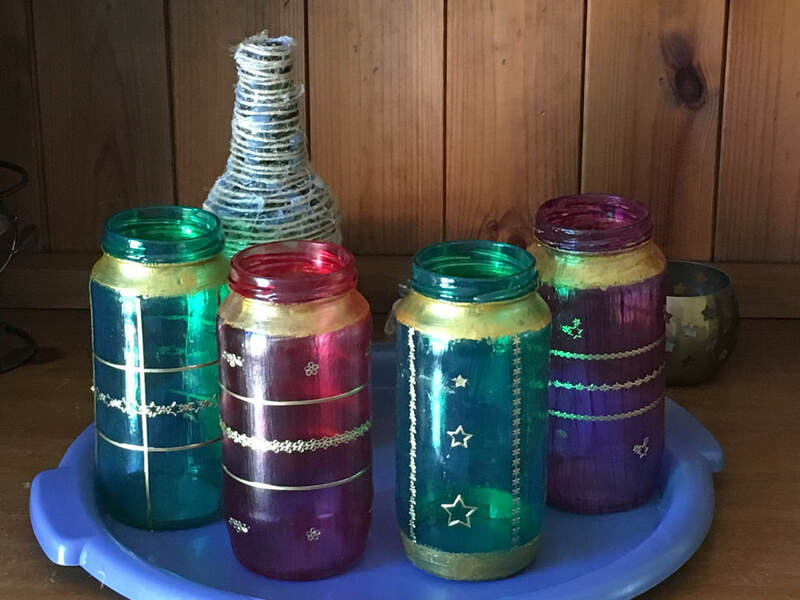 To add some lighting effects for 'A Night in Bethlehem' event I saved up all my jars. I painted them with glass paints and gold effect around the rims. Then, I added gold peel offs once they were dry for decoration. These will have LED tea lights added on the night. 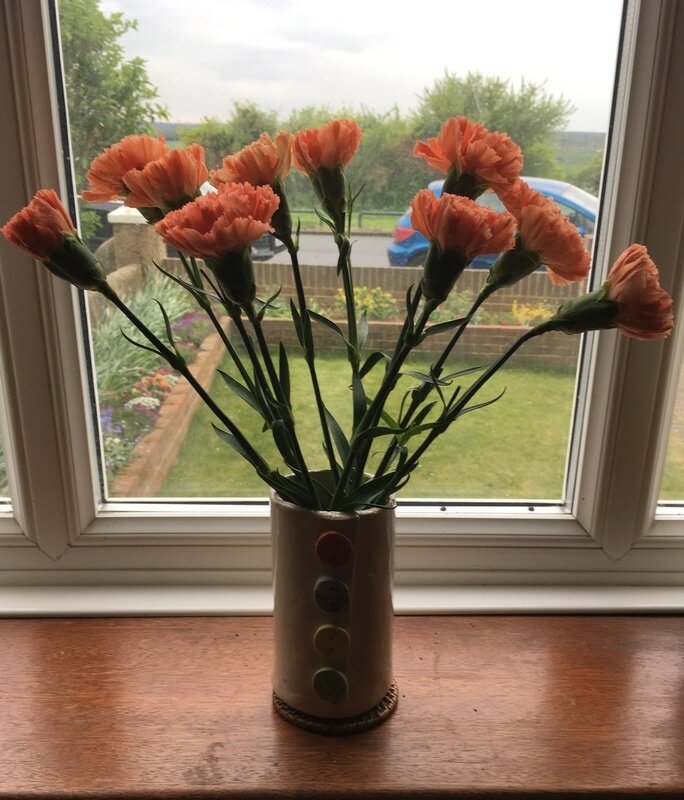 I have made 36 of these in different colours and designs. 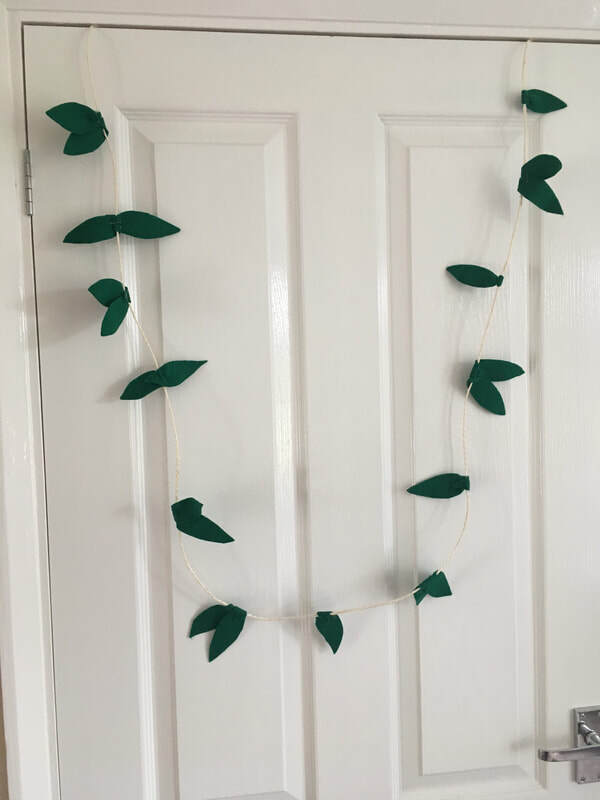 Another make for 'A Night in Bethlehem' event - leaf bunting. 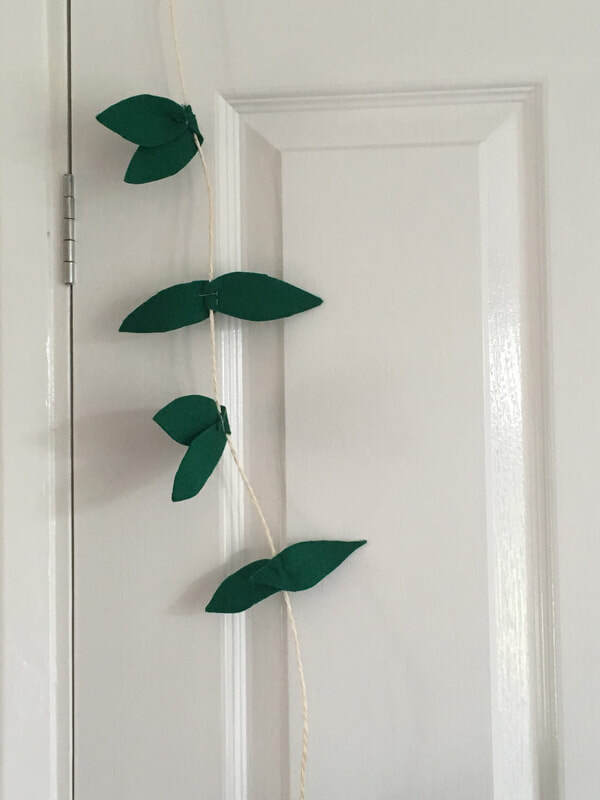 For this make I have cut some leaf shapes from green felt and stapled them to thick string. 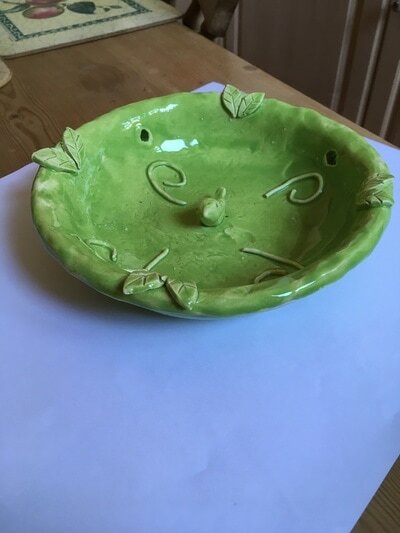 I have made 8 of these in different shades of green for the best effect. Crepe paper would work equally as well. As promised I am starting to share some of the crafty things I made for 'A Night in Bethlehem' event. We are going to have a floor seating area with mats, rugs and cushions and I wanted to have a fire in the middle of it but obviously for health and safety reasons I couldn't have a real fire. 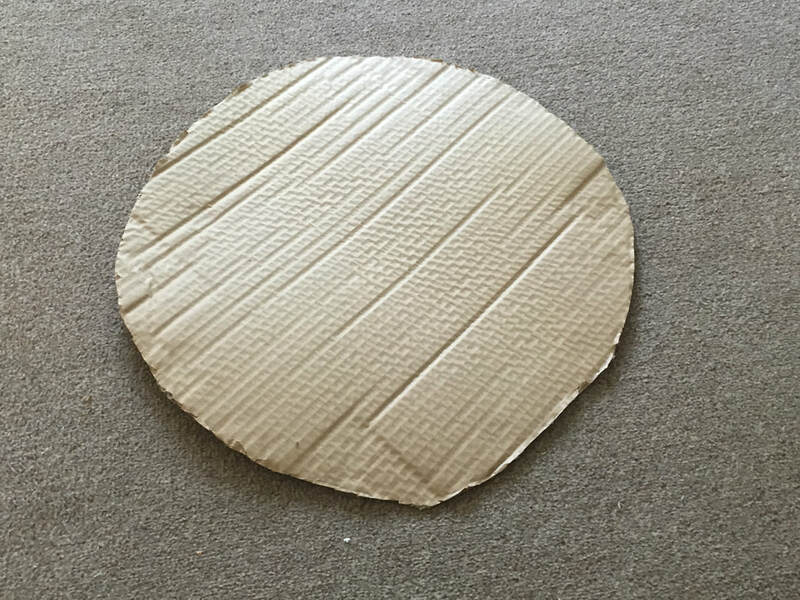 I started with an almost round circle of cardboard which I then painted black. 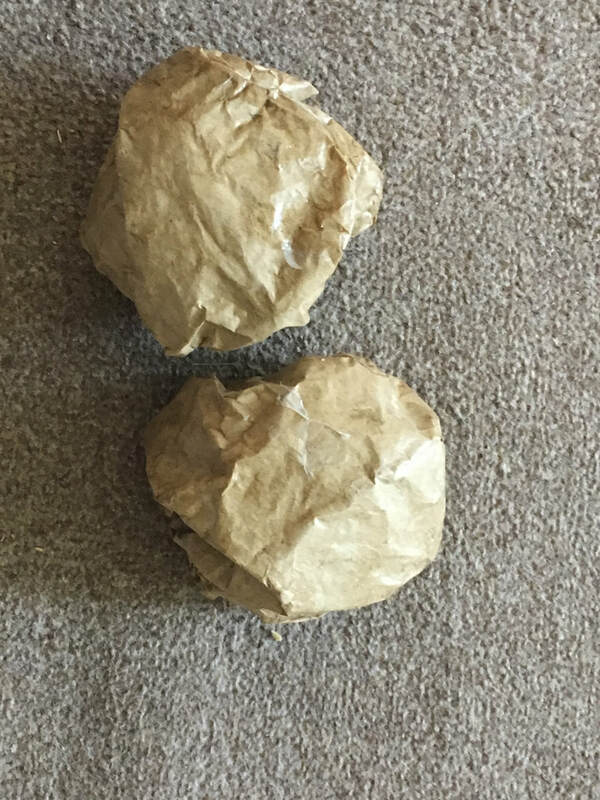 Next I made some rocks by crumpling brown paper and coating them in a pva/water mix. Once these were dry, I then painted them grey and stuck around the edge of the fire base. Next I needed some logs. 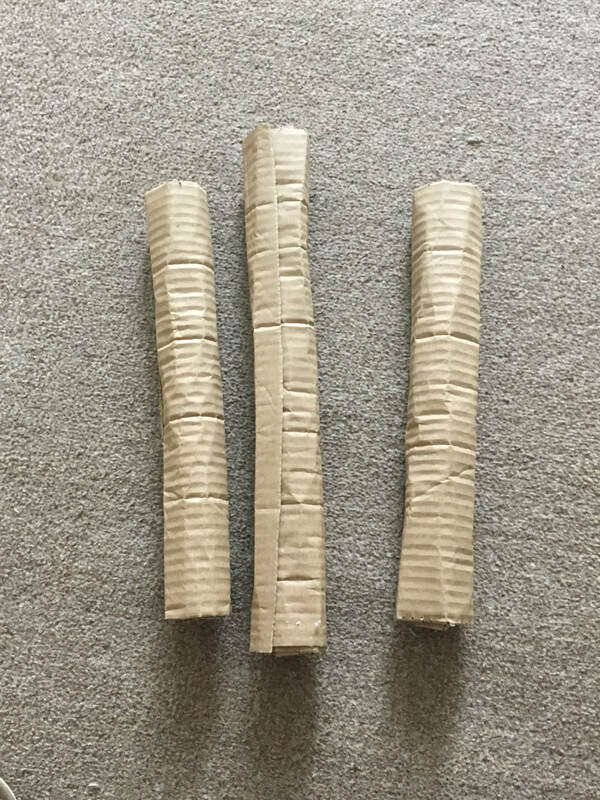 I cut some strips of cardboard and rolled them up. 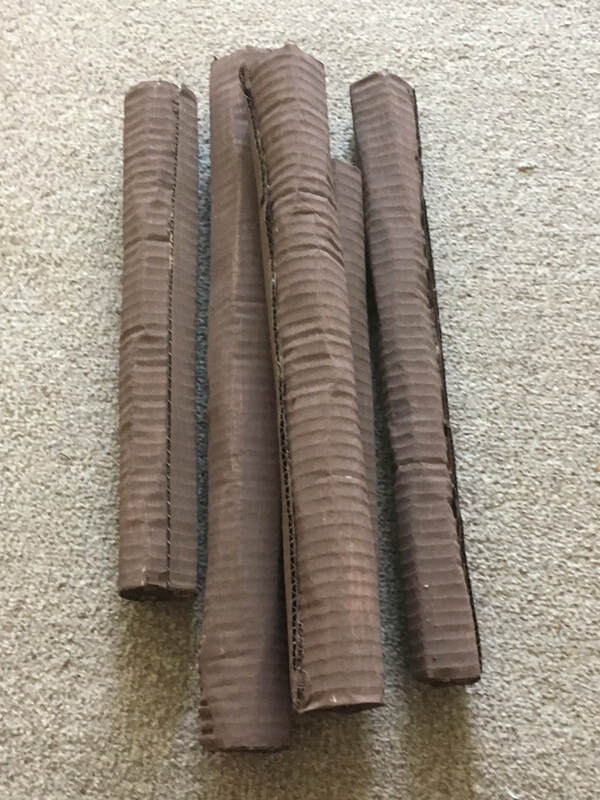 I used 3 layers of strips for each log. I then painted the logs brown. 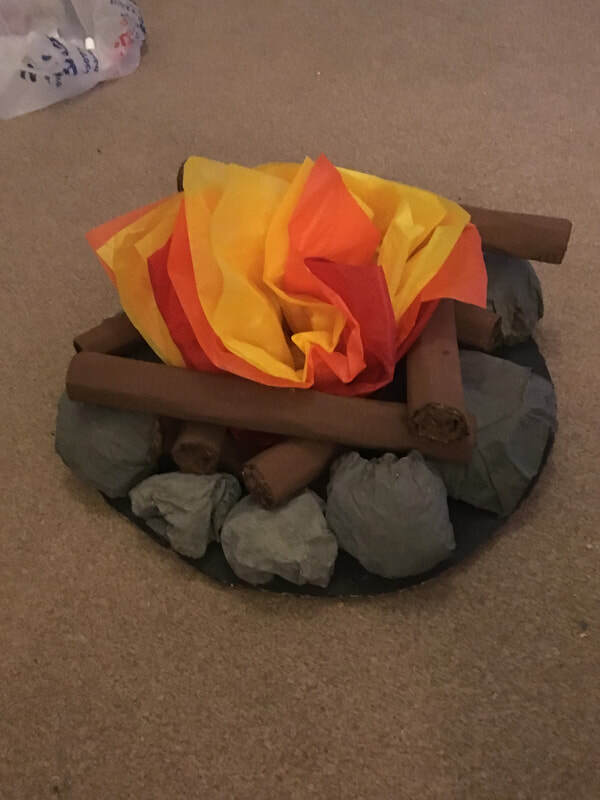 To complete the fire I used some red, orange and yellow tissue paper to make flames and added the logs. On Saturday 9th December there will be an event at Allington Baptist Church called ' A Night in Bethlehem'. This is a way to experience what it would have been like in Bethlehem at the time when Jesus was born. As you follow the star to Bethlehem you will reach the city gates where centurions await. You will need to sign the census and pay your taxes to be able to enter. (Coins will be provided). As you enter the marketplace you will find various stalls allowing you to try different activities and sample food wares. Venture outside and you will find shepherd’s watching over their flocks – talk to them and they will tell you their story. Help the three wise men to follow the star. Visit the stable to see where Jesus was born and see the live animals. Over the last few months I have been busy working on props and accessories for this event and over the next few weeks I will share some of them with you. On Thursday 6th July 2017 hubby and I attended a glass workshop at the site of our holiday cottage at Dune Cottages Ilfracombe, Devon. 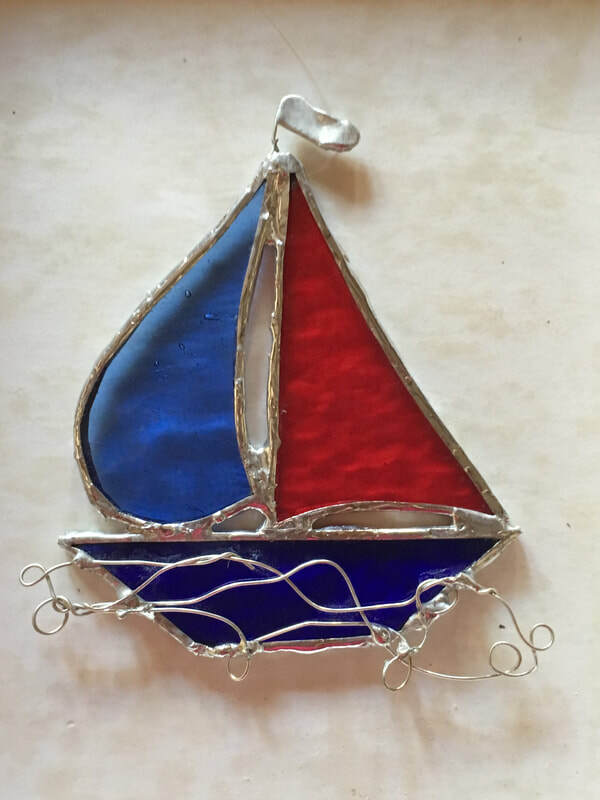 I made a boat sun catcher to go in our nautical themed bathroom and Kevin made a butterfly. We found the whole process really relaxing and therapeutic especially using the grinder. I have never soldered before so it was all new to me. It was a really enjoyable few hours and we loved the results. On Saturday 25th March 2017 I attended a Woodwork class at Dartford Adult Education Centre. 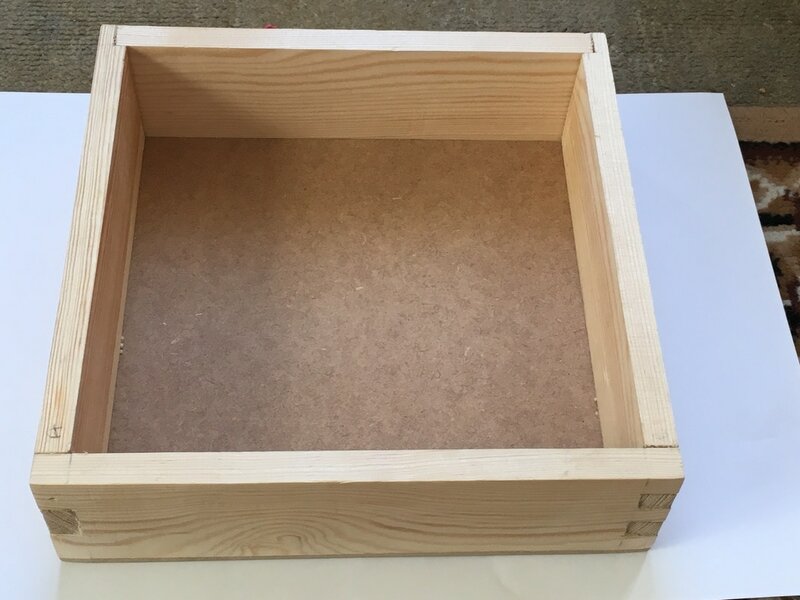 It was really enjoyable working with hand tools and producing a box to take home - great for storing some of my crafty bits! I learned how to make 3 finger and 5 finger joints and also a half housing joint. I would recommend this workshop to anyone wishing to try out techniques with hand tools. On Saturday 11th March 2017 my husband and I set off for a pottery workshop by the seaside. 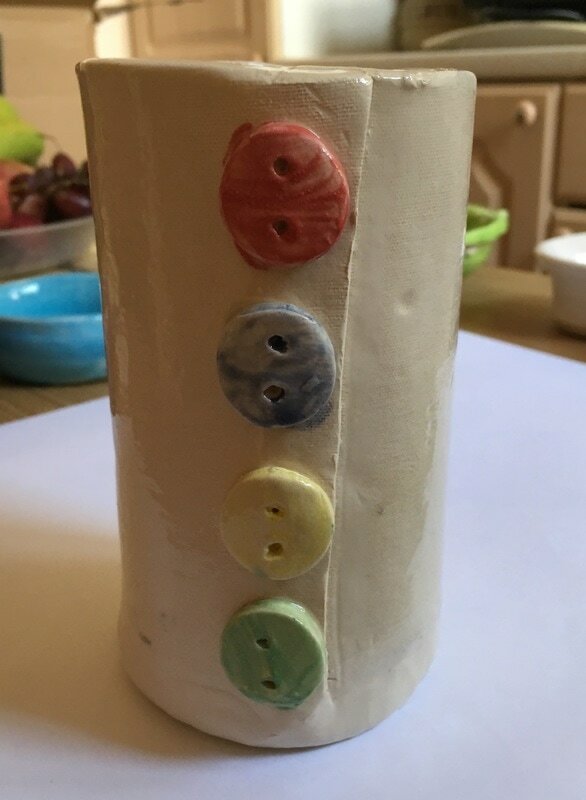 It was an amazing day out at Epple Bay Ceramics and Jenny was a great teacher. We had time throwing pots on the wheel - I was somewhat miffed to find hubby was much better on the wheel than I was and he produced 3 good pots from 3 attempts and I only managed 2 wobbly things from 4 attempts with the other 2 ending up in the bucket of shame! However, when it came to hand building I excelled myself completing a bird bath and a slab built vase. café within walking distance for lunch. 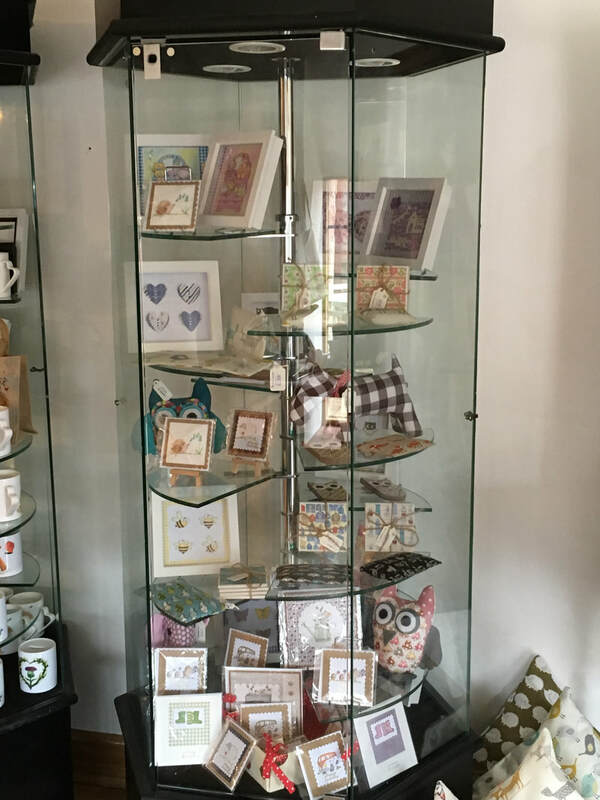 I am a keen crafter and I enjoy working with different materials and creating my own designs. 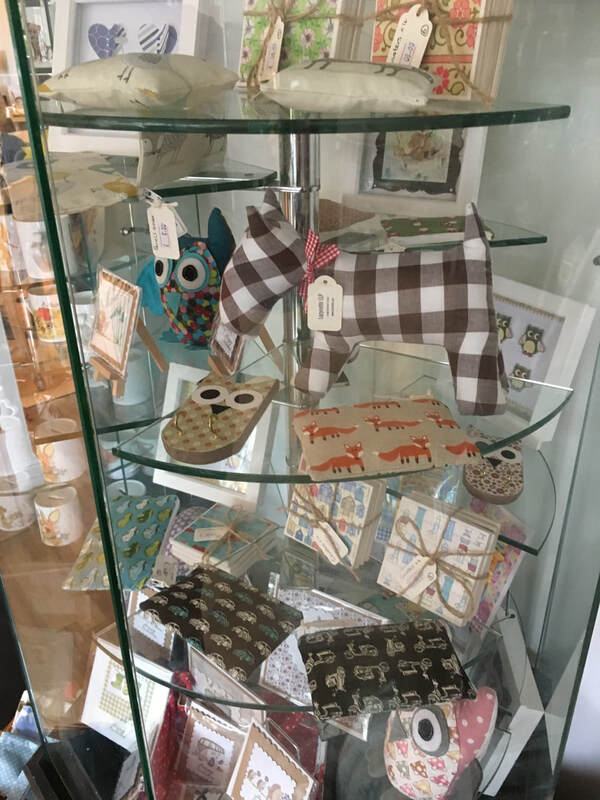 I am most passionate about paper crafts, sewing and upcycling.